Welcome to Medicare Hygiene Private Limited, Manufacturer & Exporters of Surgical Dressing Materials An ISO 9001 and GMP certified company, Incorporated in 1994, at Ahmedabad. Our Well-equipped infrastructure and Rigorous quality checks make us unique in the industry. Large production capacity, Competitive price & assured quality make us a step ahead of our competitors. 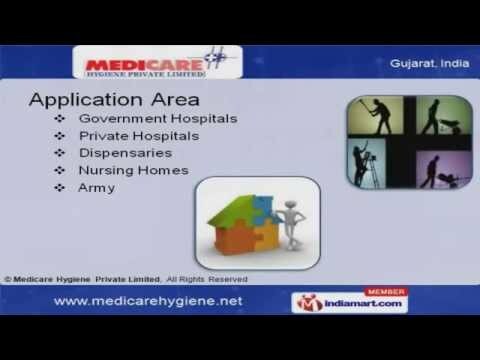 Dispensaries, Nursing Homes, Army and Government Hospitals are some of our application areas. We offer a wide array of Sterile and Non Sterile Dressing. We are engaged in offering Sterile Dressings at reasonable rates. Driven by perfection, we are instrumental in Gauze Ribbon 4 Fold and Chlorhexidine Gauze Dressing B. P. Our Non Sterile Dressing are widely acclaimed in the market. Gamjee Roll, Rolled Bandage and Ortho Roll Cast Pads are best in the industry.